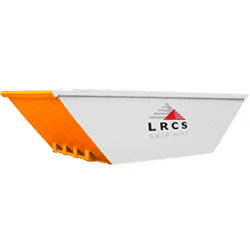 LRCS is the home of the skip hire Lincoln residents enjoy using. We often get people asking questions about our services such as what they can place in a skip. It is our pleasure to answer so we can help our customers to choose the right service. There are certain items that you have to dispose of in a specific way. This is due to the fact that they are dangerous for the environment and people. As a result these materials must be packed correctly and taken to the right facilities for disposal. The waste carriers must have specialist permits before they can handle the items. Regardless of whether the cylinder is completely full or empty, do not dispose of one of them in a skip. Any residue that might be inside is hazardous. Your local authority will help with recycling the cylinders. As well as this, many gas suppliers offer to collect and reuse them. This is a material that is incredibly hazardous. Inhalation of fibres can lead to life-threatening health conditions. You should never throw asbestos or items that contain even a small trace of it into a skip. You should always go through a specialist contractor for the removal and disposal. You might think that with a skip you have access to an easy way to throw away an old tyre, but don’t do it. Tyres are may not be hazardous waste but they are a threat to the environment. This is especially true with how some companies dispose of them. Luckily there are specialist companies and garages that will be more than happy to accept them from you. Another example of hazardous waste items is fluorescent bulbs. These contain harmful chemicals like mercury. If the bulb breaks it will also release toxic vapours into the environment. A lot of people think that it is fine to throw old electrical appliances into a skip. These are essentially those items powered by a plug or batteries. You should recycle them through a local recycling point that deals with electrics. This is because they can contain materials that are hazardous to the environment and people. If you want to hear more about the skip hire Lincoln loves to use, get in touch with our team. We can advise you on whether it is the right option for you. This entry was posted in Blog on April 15, 2019 by Carol Powel.